On January 1, 2016, new rules and guidelines were introduced to the Illinois Marriage and Dissolution of Marriage Act in Section 504 that changed the way maintenance is determined in divorce cases in Illinois. Now, the calculation for maintenance has been standardized through a set of guidelines, which are more like a formula. 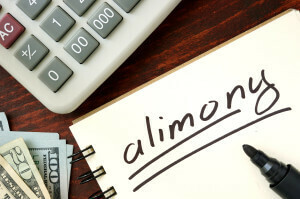 If you are going through a divorce where the court may order alimony, it’s important to understand the updated maintenance laws to evaluate your situation. Previously, courts had a lot of discretion when determining the duration and amount of maintenance. While the judge had to consider certain statutory factors, it was sometimes very difficult to establish consistent maintenance awards in different cases. The Illinois legislature decided to amend the laws in order to make the outcomes more consistent and equitable. Now, with the help of the new rules and guidelines, courts can look to standardized formulas for the calculation of the annual maintenance amount and duration. However, it should be noted that the courts still haves the ability to deviate from the standardized formula . In the event of a deviation, the court looks to various factors that it deems relevant. The new statute lists fourteen (14) factors that the court may take into consideration for purposes of a deviation from the new formula. You should contact an experienced Aurora divorce attorney to get more information about the deviation factors and when a deviation is appropriate. Courts determine the duration of maintenance in divorce cases by multiplying the number of years of marriage with a fixed percentage of that period. For 20+ years of marriage, the court may order permanent maintenance or for a term equal to the duration of the marriage. Courts determine the amount of maintenance in divorce cases by subtracting 20 percent of the receiving spouse’s income from 30 percent of the paying spouse’s income. This calculation gives us a $ 12,000 maximum annual maintenance cap. So by way of our example, instead of the receiving spouse being awarded annual maintenance of $ 24,000 [(120,000 x .30) – (60,000 x .20)], the cap would reduce the annual maintenance award to only $ 12,000. The formula only applies to those couples whose combined incomes are less than $250,000. The new law revokes the authority of a judge to order unallocated maintenance, unless both the spouses agree to it. The primary judicial responsibility of judges remains unchanged, i.e. to evaluate whether awarding maintenance is appropriate in a particular divorce case or not. If you are going through a divorce and seeking legal services for spousal maintenance, it is essential to hire an attorney who is familiar and knowledgeable with the latest Illinois laws. Contact Keller Legal Services today at 630-868-3093 for a free initial consultation. Our attorneys have more than 25 years of experience handling family law matters. We represent family law clients in Kane County, Will County, and DuPage County.